This is my first diy audio project. The main constraint for this project would be the price because as a student I can’t afford costly parts. So it took me quite a bit of time to find all the parts at a reasonable price. 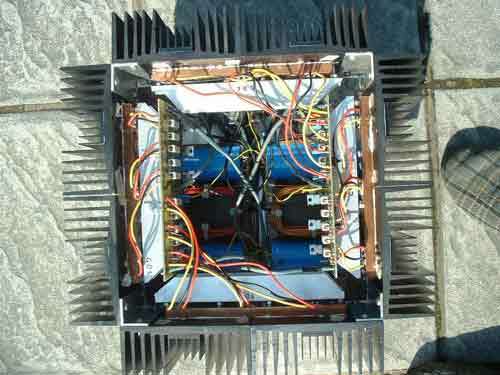 I first found 4 broken automatic car battery chargers, from which I used the heatsinks and the transformers. 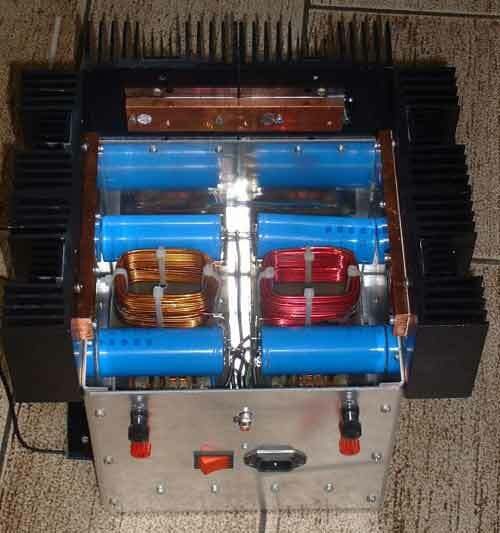 There were two 200VA (estimated) EI transformers with 14 V secondary’s in each charger. 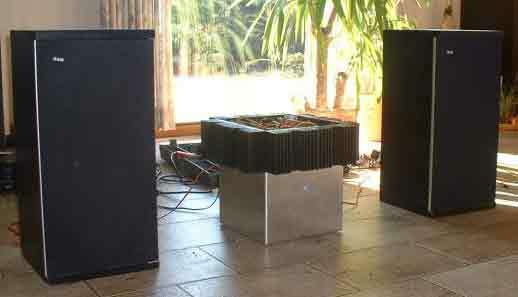 Four of those with secondary’s in series became the power supply of my Amplifier 5. The secondary’s of the other 4 I used as inductor in a CLC filter. The speaker connections also came from those chargers. 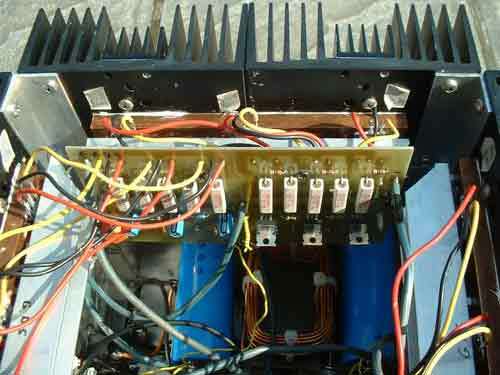 I also dismantled a broken electronic welder from wich I used the rectifier bridges and wiring. I used wiring and NTC’s from broken computer supply’s. I made the boards myself at school. The only costly things which I couldn’t recycle were the transistors and the power supply capacitors. I bought those online at reichelt elektronik. So after some weekends diy I ended up with an A5 at a very reasonable price of 150 euros total. The only thing I didn’t cut back on was the blue led . I mounted the transistors on a copper bar 3cm*1cm which came from a electrical power substation and clamped the transistors with an aluminium profile. 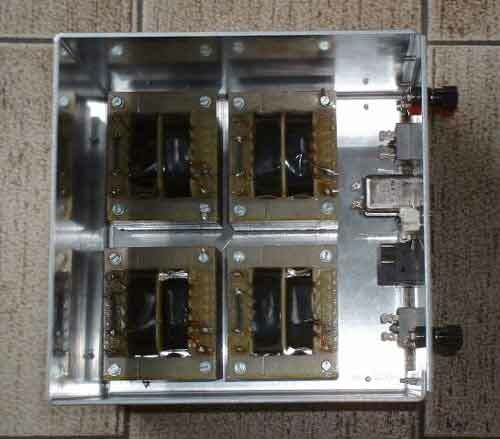 DC offset is 10 mV left and 25 mV right. It runs the standard 2 A bias and after an hour it reaches 52° C.It's quite heavy weighing 25 kg. The sound is very good and detailed and I can only hear a bit of hum with my ear close to the speaker. I wish to thank Nelson for sharing his wonderful designs.